Grain production is expected to return to average levels in marketing year (MY) 2017/18, given normal weather after higher wheat and corn production and lower sorghum production in MY 2016/17. Due to expected slower economic growth in 2017, grain consumption is forecast to increase only slightly in MY 2017/18. The Post/New total Mexican wheat production for MY 2017/18 (July to June) is forecast at 3.65 million metric tons (MMT), approximately six percent lower than the previous year’s revised estimate. Lower harvested area and unfavorable weather conditions in the key fall/winter wheat production areas of Northwest Mexico (Sonora and Baja California) are the main reasons for the decrease. Adverse weather conditions negatively affected the planted area and yields in the main producing state of Sonora. These sources stated that during the stage of vegetative development, adverse weather caused abnormal leaf formation and flowering. These unfavorable weather conditions occurred during the planting season and the first 45 days of growth, which did not allow the proper wheat tiller development due to the lack of chill hours. Sources noted that cooler weather is important during the stage when wheat tillers are developing, as the plant requires lower temperatures for its growth stage to obtain optimal development. In addition, official sources stated that planted area is lower because the unattractive international wheat prices have discourage growers from increasing their planted area for this year. Instead of planting wheat, growers decided to shift to other crops. For example, in San Luis Rio Colorado in northwest Sonora, farmers replaced wheat with cotton, while in the southern valleys of Sonora wheat was replaced with crops such as corn, chickpeas, and dry beans. Moreover, input costs are expected to remain high or increase slightly for this production season. Thus, wheat production is expected to be a less attractive for producers in MY2017/18 than it was last year. Sonora continues to be the main wheat-producing state, with approximately 52 percent of total wheat production, followed by Baja California, which contributes 14 percent, and Guanajuato with ten percent. The majority of the wheat grown in the north and northwestern states of Baja California (i.e. Mexicali Valley) and Sonora apply advanced production technologies similar to those used in the United States. Durum wheat continues to be the principal variety in Mexico, mainly produced in Sonora and Baja California. Based on official SAGARPA data, 60 percent of total wheat production in MY2015/16 was durum wheat (known as “cristalino” in Mexico). Private sources stated that despite some efforts by the Mexican government to encourage planting of more milling and soft wheat varieties instead of durum, farmers have been resistant to switching. The majority of wheat producers remain convinced that durum yields are higher than for bread wheat varieties in the desert regions of Baja California and Sonora. For MY 2017/18, Post forecasts only a slight increase in total wheat consumption over the previous year’s estimate, due to the expected slowdown in the economy, higher domestic inflation than last year, and the contraction of production noted above. Population growth (1.4 percent) should be the main factor driving this increase. In contrast, demand for wheat feed and residual use is expected to decline to 350,000 MT, as cheaper feed grain alternatives, mainly corn and sorghum, will take greater market share. The Mexican Millers Association stated that consumption preferences for bread products in Mexico have changed in the last few years from sweet breads and cakes to white bread. The main factors that have motivated these changes have been Mexican government campaigns against obesity. Another factor for the change in preferences has been the Special Tax on Production and Services (IEPS). This tax which took effect in 2014 is applied to sugared items and products with high caloric content. For example, IEPS taxes products such as sweet breads, cookies, stuffed pastas, cakes, and pastries. Mexico has 84 different mills owned by 11 companies located across the country, which can process approximately 8.4 MMT of wheat and produce 4.8 MMT of flour each year. However, these millers are operating approximately at about 83.3 percent of capacity (i.e. 7.0 MMT). Private sources stated the wheat milling industry has continued to consolidate in the last few years through the acquisitions and mergers of some millers. At the same time, wheat milling companies have continued to invest in modernizing their plants. For example, Bunge LTD is building a 31 million USD facility to import wheat to produce flour for the Yucatan Peninsula located in San Ignacio, Yucatan, about halfway between the state capital Merida and the port of Progreso. Mexico City’s Grupo Altex to buy its wheat mills, following the purchase of the “Harinera la Espiga,” milling business in 2004. According to private analysts, these acquisitions allow Bunge to provide flour to key customers throughout the country. As a result of these types of investments, the wheat flour mill industry output has continued growing at an average rate of between 1 and 1.5 percent annually. The Post/New total wheat import forecast for MY2017/18 increased slightly to 4.95 MMT due to stability in the domestic production of bread quality wheat. Private analysts expect that durum production will continue dominate domestic wheat production in MY2017/18. As result, Mexican millers could increase their demand for imported wheat of various varieties for milling, especially soft wheat varieties. Private sources claimed that price and quality continue to be the main factors that decide import sources. 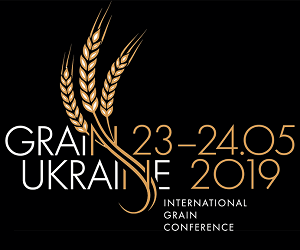 As a result, in the past couple years many Mexican millers and some feed producers have been sourcing wheat from non-traditional suppliers such as Ukraine, Russia, and France, as they have said to have found the right balance between price and quality. However, some Mexican millers had quality issues with some of their wheat suppliers from the non-traditional origins. Thus, this trend could reverse slightly in MY 2017/18 as several Mexican millers may return to sourcing U.S. wheat due to, among other factors, higher quality and protein content of U.S wheat, as well as logistical advantages. For example, some private sources pointed out that most Mexican mills are using Russian or Ukrainian wheat as blending wheat with either U.S. hard red winter wheat (HRW) or hard red spring wheat (HRS), or other high-protein wheat from other origins. They indicate that wheat flour made from 100 percent Russian wheat, for example, would not have sufficient protein to meet the needs of many key customers. Another decision factor is the time takes for shipments to get Mexico from countries such as Russia or Ukraine. While the freight cost is only slightly cheaper from the United States compared to other origins, the length of time to ship from the United States is much shorter. Depending on where a railcar is going in Mexico, it can arrive at the Mexican mill in a matter of days. A ship from Texas or Louisiana can arrive in the port of Veracruz in five days or less, whereas a vessel from Russia can take two weeks or more. In addition, the private sources stated that Mexican mills need to be receiving wheat regularly to maintain production levels, and buying purely from Russia or Ukraine would be logistically difficult. In light of these considerations, MY2017/18 wheat imports from the United States are forecast to increase to approximately 3.650 MMT. Post/New MY2017/18 wheat exports are forecast to decline slightly to 1.250 MMT due to lower expected production and the slight increase in FSI domestic consumption. Algeria has been Mexico’s top durum wheat export market by a wide margin in recent years, followed by Italy and Turkey. For MY 2017/18, the Post/New ending stocks forecast is estimated to increase to 600,000 MT, due primarily to lower total exports. The Post/New MY 2017/18 (October to September) corn production forecast is 25.25 MMT, with harvested area, assuming normal weather conditions, estimated at 7.15 million hectares (ha). Corn producers had a record harvest in MY 2016/17 due to exceptional weather conditions. However, we expect a shrinking both in harvested area and production next year, assuming normal weather conditions at next summer’s corn planting period. The level of area damaged is expected to be in line with the average of the last few years (i.e., approximately 500,000 ha). It should be noted that approximately 80 percent of the total planted area is rain fed, and Mexico has experienced recurrent climatological events that impact yields, most importantly in MY 2011/12. Other factors that could cause a reduction in corn production are the bearish forecast for international corn prices, which reduces grower incomes and discourages the use of fertilizers, herbicides, fungicides, etc., and reduced investment in productivity-boosting technologies in the planted area. Also, private sources stated that some growers of rain-fed crops, such as corn, have found better opportunities producing other crops, including horticultural products and vegetables. Some other growers have switched crops as a result of market deficiencies, such as limited access to rural roads and markets as well as the lack of storage capacity, which has dis-incentivized corn production in certain parts of the country. In addition, some private sources stated that the lower level of support given by the Mexican government through its agricultural programs could adversely impact planting intentions for corn and other coarse grains. The corn harvested area and production estimates for MY 2016/17 have been revised upward from USDA/Official estimate to 27.0 MMT, reflecting updated information from SAGARPA as of January 31, 2016. The very favorable weather conditions during the growing stage positively impacted yields and diminished the total area damaged compared with the average for the last few years, mainly during the 2016 spring/summer crop cycle. According to SAGARPA data, during this crop cycle the total area damaged was only 150,000 ha, compared to the average of 460,000 ha in the last five years (not taking into account the atypical MY 2011/12 in which unusually cold weather in northern Mexico severely damaged the corn crop in Sinaloa). Corn production for the current 2016/17 fall/winter crop cycle is estimated at 8.3 MMT, which is slightly lower than the previous year. Crop conditions for corn planted in September and October have been adequate, due to plentiful water reservoir levels in the state of Sinaloa. Based on the National Water Commission’s (CONAGUA) figures, water levels in Sinaloa’s reservoirs were higher than the average levels of the last few years, as demonstrated in the two graphs below showing the water level as a percentage of capacity in the two main water reservoirs, Jose Lopes Portillo and Adolfo Lopez Mateos, as of February 10, 2017. Moreover, Sinaloa’s corn production, which is almost all irrigated, accounted for more than 22 percent of total domestic production. Nearly all of the corn produced in Sinaloa continues to be consumed in other states. Harvest in Sinaloa is expected to take place in May and June. As a result of the very favorable weather conditions, the 2016 spring/summer crop harvested mainly in November and December has been reported to be of very good quality. It is expected that the upcoming 2016/17 fall/winter crop will be good as will. Corn continues to be grown throughout the year during two seasons: spring/summer (April-March) and fall/winter (October-September). Approximately 74 percent of Mexican corn is obtained from the spring/summer season on average. The average yield for the MY2017/18 corn crop in Mexico is forecast at 3.531 MT/ha, which is slightly lower than the yield expected in the current MY 2016/17 crop (3.553 MT/ha), as soft demand and relatively low corn prices discourage investment in yield-boosting inputs. In addition, the higher yields reached in MY2016/17 were due to the very favorable weather conditions noted above. However, yields continue to vary considerably throughout Mexico, depending on the technology used. Sinaloa and some regions in Chihuahua, for example, continue obtaining similar yields to those obtained in the United States due to the advanced farming technology used in those states. However, some private sources continue to note that production costs in some of these northern regions of Mexico are still too high to really compete with U.S. farmers. Several factors continue to prevent an increase in yields; among others, the lack of appropriate new technological packages, inadequate irrigation infrastructure, absence of high-tech machinery such as harvesters, and the modest use of hybrid seeds. It is estimated that only 25 percent of total corn planted area uses hybrid seeds and other technology. Another relevant factor that has prevented a boost in corn yields is the lack of permits for commercial domestic production of genetically engineered (GE) corn. The Mexican government still does not allow the issuance of permits for commercial domestic cultivation of GE corn due to a federal court ruling in September 2013, which effectively suspended planting of all GE corn in Mexico by placing a provisional injunction. After more than three years, there still is no clear timeline for a resolution. Mexico is the world’s sixth largest producer of corn, second largest corn importer, and the fifth largest consumer of corn. Moreover, corn is by far the most important agricultural commodity in Mexico, both in terms of production and consumption. - The white corn market pays a premium over yellow corn, as it is preferred for tortilla making (probably the most important source of calories for many Mexicans) in the domestic food market. - White corn production is relatively less expensive than yellow as farmers have better access to local technology and inputs, such as seeds that have been adapted to local conditions. However, some private sources indicated that these differences have declined in the past few years, due to better yellow corn seed options adapted to local conditions. - White corn production does not require high economies of scale to make a profit compared to yellow corn production. - White corn is easier to commercialize with the options of human or feed consumption. - Smallholders and subsistence farmers can use white for self-consumption. - Private sources indicate that delayed payment of yellow corn incentives by SAGARPA have also discouraged farmers from planting yellow corn. For MY 2017/18, total corn consumption is forecast to increase approximately 1.9 percent compared to the previous year’s estimate. This increase is expected to be driven by population growth (1.4 percent) and relatively slight growth in the Mexican livestock and poultry sectors. It should be noted that Mexico’s economy is projected to slow considerably in 2017 due to multiple factors, including low oil prices and uncertainty regarding the future of U.S.-Mexico trade relations. According to some private economic experts from banks, universities, and other institutions, Mexican GDP is projected to grow 1.4 percent in 2017, compared to 2.3 percent in 2016. Similarly, the inflation forecast for 2017 over 5.6 percent, versus 2.9 percent a year earlier. Mexican corn market is different than that of many other countries as corn is considered primarily a food grain rather than a feed grain. In fact, corn continues to be the most important staple crop in Mexico. As a result, Mexico has developed two distinct corn markets: one for white corn, which is mainly for human consumption (although some portion goes to feed, especially at the smallholder and subsistence growers levels); and the other for yellow corn, which is mainly for feed, with smaller volumes consumed by the starch, cereal, and snacks industries. Mexico's statistical agency (INEGI) recently released the National Household Income and Expenditure Survey, which states that Mexican diet is based on chili, dry beans, tomato, and corn. In the case of corn, 81 percent of households spent at least 6.5 percent of their income on corn tortillas alone, without considering other foods in which corn is an ingredient. Private sources estimate that due the expected slowdown in the Mexican economy in 2017 and 2018, corn used for human consumption could increase slightly. In addition, there could be a substitution effect in low-income groups from some foods such as bread and crackers to corn tortillas. Even in the middle class, where income could also potentially weaken, tortilla consumption may increase as families move from more upscale sources of calories such pastas to tortillas. Feed consumption is expected to increase just 2.3 percent as result of the economic slowdown, compared to four percent in recent years. Animal feed industry sources pointed out that the market for poultry, pork, and beef in Mexico could weaken in 2017 compared to recent history, largely because of reduced consumer purchasing power. As a result, they foresee weak demand for (mainly imported) yellow corn compared to the previous two years. As bearish corn demand is expected, particularly for feed consumption, annual MY 2017/18 imports are forecast to remain unchanged from the updated MY 2016/17 estimate of 13.4 MMT. The Post/New MY 2016/17 corn total import estimate has been adjusted downward due to higher domestic production than previously estimated. Similarly, export figures for MY 2016/17 have been increased reflecting this higher domestic production. Private sources indicated that as Mexico becomes a more attractive and sophisticated importer, some other countries that produce yellow corn, such as Brazil and Argentina, have shown interest in exporting to Mexico. In addition, the Mexican government has made public statements in recent months indicating that it has a strategic objective to increase diversification of its agricultural import suppliers. In the longer term, this could mean that Mexico would not rely only on U.S. corn imports, as is currently the case. However, given that there have not been any changes to policy or economic factors, it is expected that over the mid-term at least, Mexico will remain a substantial importer of corn from the United States. Post’s ending stocks for MY 2017/18 are forecast to decrease to 4.71 MMT, due to a decrease in domestic production. The Post/New MY2016/17 ending stock estimate was revised upward from the USDA/Official estimate to 6.11 MMT reflecting higher domestic production than previously estimated. • Significant depreciation of the Mexican peso has made Mexican exports more competitive, but has increased the relative cost of imported goods and inputs. • Declining oil prices have resulted in lower government revenue from national oil company PEMEX, leading to budget austerity. • Inflation has grown in recent months, and planned gasoline price increases have raised concerns about further price increases. • As result, the main support programs for the agriculture sector such as PROAGRO and the Forward Contract Program suffered cutbacks in 2017, which were reflected in the PROAGRO payments to growers and the percentage supported in hedging operations under the Forward Contract Program. • Commercial (more than 20 ha non-irrigated and more than five ha irrigated). Growers with production units of non-irrigated land and whose acreage is less than one hectare, will receive the support equivalent of one hectare, with certain exceptions. The operational rules state that beneficiaries are required to plant at least the eligible supported area during the agricultural crop cycle. If weather conditions or natural disasters prevent planting in eligible areas, support may still be granted as long as the local SAGARPA Delegation submits a written request, accompanied by a technical opinion of the competent authority that endorses the presence of such conditions in the affected areas. PROAGRO beneficiaries must demonstrate that the subsidy was used for training and technical assistance, mechanization, use of improved seeds or selected native seeds, plant nutrition, production restructuring, agricultural insurance, fertilization, storage and marketing, payment of services, and fuel acquisition, inter alia. The 2017 program notice indicated that “SAGARPA can define (subject to federal budget availability) strategies to reincorporate farmers registered in the PROAGRO directory that are not currently in the Program’s target population. Similarly, SAGARPA can incorporate growers who have not been registered in the PROAGRO program, giving priority to subsistence growers that cultivate basic grains and oilseeds.” The notice states that SAGARPA can pay liabilities from agricultural cycles in the previous fiscal year which were not liquidated due to lack of budget. SAGARPA is authorized to allocate up to 1.5 percent of the full program budget to establish a training and technical assistance program directed primarily to subsistence growers to facilitate the adoption of technological innovations, improve their agricultural practices, and increase their crop yields. It should be noted that various grower organizations have argued that to increase the number of beneficiaries in the poorest sectors, the size of the production units should have been limited to only 20 ha and not 80 ha. According to SAGARPA’s Marketing Services and Agricultural Market Development Agency (ASERCA), as of October 3, 2016, 17.54 MMT of various commodities have been supported through the Forward Contract Program; mainly corn (white and yellow), sorghum, wheat (bread wheat and durum), and soybeans. For the 2015/16 crop cycle, 12.41 MMT were supported through the program, while for the 2016 spring/summer crop cycle 5.4 MMT were supported. Of these totals, ASERCA estimates that approximately 30 percent were contracts in the animal feed sector. 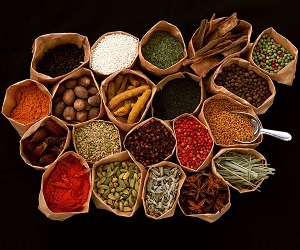 ASERCA stated that the Forward Contract Program has become the most effective instrument for promoting the marketing of grains and oilseeds, promoting a business culture that includes mechanisms for risk management and income protection for farmers, as well as promoting the system of markets and price control. Thus, despite the bearish outlook for international grain prices, growers using the program have been able to protect their incomes to continue operating their farm business. However, private sources noted that due to the cutback in ASERCA’s 2017 budget, the support coverage for buyers has been eliminated, and the support to growers has been reduced from 85 percent to 75 percent of the coverage cost (i.e. “put” or “call”). Mexican sorghum production for MY 2017/18 (October-September) is forecast to increase to approximately 6.0 MMT due to a switch from corn to sorghum by farmers, mainly in the Bajio region, which encompasses the states of Guanajuato, Michoacan, and Guanajuato. The decision to plant more sorghum is being driven mainly by the desire to reduce risks and the fact that the campaigns implemented to control and mitigate the sugarcane aphid (SCA) pest have been relatively successful, allowing farmers to reverse the yield reductions caused by the pest. In addition, private sources have pointed that new and better hybrid seed varieties, which are more resistant to SCA, have begun to be planted in some regions of these states. These private sources stated that sorghum requires fewer inputs, is more resistant to dry weather conditions, has a relatively shorter crop cycle, and is cheaper to grow than corn. Contacts indicate that the potential net returns from corn and sorghum are about the same, thus the lower costs and risks favor a shift to sorghum. Post’s sorghum production estimate for MY2016/17 was adjusted downward due to revised SAGARPA data. The updated data reflects lower harvested area than previously estimated. SAGARPA and private industry surveys revealed that, due to the prevalence of the SCA pest in Bajio region, many growers decided to plant corn instead of sorghum in the 2016 spring/summer crop cycle. Harvesting for this crop cycle, which is mainly rain-fed and will account for only 38.6 percent of annual sorghum production (compared to approximately 50 percent in normal years) is practically concluded. It is expected that 2016/17 fall/winter crop cycle production will reach 3.2 MMT due to normal to above average rainfall and nearly ideal crop conditions in Tamaulipas, the main producer state in this cycle. In Mexico, two crops of sorghum are grown annually: a spring/summer cycle and a fall/winter cycle. The four states that account for approximately 74 percent of the spring/summer sorghum production are Guanajuato, Michoacán, Tamaulipas, and Sinaloa. Production during the fall/winter cycle occurs primarily in the states of Tamaulipas and Nayarit, and it is harvested May through July. Tamaulipas alone accounts for 79 percent of Mexico’s fall/winter crop cycle, and only 22 percent of the fall/winter crop is irrigated. For MY 2017/18, yields are forecast to be 3.529 MT/ha, while the overall yield for the MY 2016/17 sorghum crop is expected to reach approximately 3.581 MT/ha. Sorghum continues to be an important animal feed in Mexico, as good-quality sorghum is regularly available with a nutritional feeding value that is roughly equivalent to that of corn, and in some limited cases it is preferred to corn. Sorghum can be processed to further improve its feed value, and techniques such as grinding, crushing, steaming, steam flaking, popping, and extruding, all have been used to enhance the grain for feeding. Sorghum is fed to laying hens and poultry, beef and dairy cattle, and hogs, and it is also used in pet foods. Due to the sluggish growth in demand for feed grains, sorghum consumption is forecast to increase moderately to 6.25 MT in MY 2017/18. Private and official sources indicated that sorghum consumption growth by the poultry, hog, and beef industries will be moderate due to the economic slowdown. Deteriorating purchasing power as a result of the expected decline in the GDP growth rate in 2017 compared with a year earlier will lead to a reduction in pork and beef consumption and a moderate increase in poultry meat consumption, as well as minimal growth in per capita egg consumption (0.4 percent). The poultry sector (including both layer hens and poultry meat) continues to be the primary consumer of sorghum in Mexico, predominantly in the form of mixtures and feed concentrates. The sorghum consumption estimate for MY 2016/17 has been revised downward from USDA/Official figures to 6.1 MMT, based on the most recent information from official sources. For MY 2017/18, imports are forecast to decrease by 100,000 MT compared with a year earlier due to the expected increase in domestic production and the slight increase in domestic consumption. Private analysts indicated that sorghum, corn, and even wheat will all continue competing with each other to some degree to meet Mexican feed demand, and ultimately choices between these products will depend on the market price. Ending stocks are forecast to increase to 536,000 MT in MY 2017/18, due to the expected increase in domestic production and the relatively weak domestic feed demand. The USDA/Official ending stocks estimate for MY2016/17 has been revised downward based on lower production than previously expected. Mexican rice production for MY2017/18 (October-September) is forecast to reach 290,000 MT (rough rice) due to additional harvested area in the southeast region (mainly Campeche and Veracruz), as well as in the state of Nayarit. This year’s rough rice production level converts to 199,000 MT of milled rice. According to private sources, the main factor driving this increase in harvested area is the governmental support program announced last July 2016. Increased planting of new certified long grain variety seeds and the use of new cultivation technological package, based on the Brazilian model, will also contribute to the production increase. The National Rice Product System industry group stated that the adoption of this new technological package in the last couple years has allowed slight production and productivity increases in several planting areas. The initial MY 2017/18 forecast for a slight increase in consumption reflects a continuation of the trend of consumption tracking population growth (approximately 1.4 percent). Mexico’s per capita consumption of approximately 7.4 kilograms continues to be quite low compared with other Latin America countries. The expected slowdown in the economy in 2017 could drive a slight increase in consumption, as families with lower disposable income to shift from buying more expensive food products to lower priced rice. Though rice quality is a factor, in general terms rice should remain a low cost food staple for this segment of population. The Post/New MY 2017/18 import forecast is 755,000 MT, a slight increase from the previous year. Private sources noted that imported long grain milled (LGM) rice of all origins has grown steadily in the last ten years, and its share in of total rice imports reached approximately 30 percent in calendar year (CY) 2014; however, the share declined beginning in CY 2015 when Mexican millers became more aggressive in pricing. Additionally, interest in LGM imports began to take a hit in the second half of CY 2016 as the peso further weakened and re-packers and wholesalers shifted some of their acquisitions to locally milled product, which transferred the foreign exchange risk to the Mexican millers. As a result, the overall share of LGM to total imports fell to 20 percent in CY 2016, the lowest levels since CY 2012. It should be noted that the value chain of rice in Mexico moves from points of production and ports of entry to mills, packers, re-packers, manufacturers, warehouses, and retail outlets of various types. Most of the domestically produced rice and imported rough rice is milled and packed by a small number of rice millers. From mills and packers, rice enters the food distribution system, passing through central warehouses (“centrales de abasto”) or moving through private hands for distribution to supermarkets, small retail grocery stores, and public markets.Private analysts stated that while the United States still enjoys an approximately 80 percent share of the Mexican rice market overall, the drop in sales of LGM has been swift. Despite the overall drop in LGM imports, demand is still strong for the higher quality Uruguayan product. Packers and wholesalers have an easier time moving a higher quality product to those customers willing to pay a premium. U.S.-produced LGM rice is now seen by trade and importers as “standard” quality, competing with locally milled U.S. paddy and Asian LGM. Private sources indicate that, for this reason, it will require extra effort for U.S. LGM to regain a greater portion of the market. However, U.S. product quality is improving, and Uruguay has somewhat limited production and markets their product to many destinations. Private analyst noted that as the U.S rice quality improves, and Uruguayan prices increase, the U.S. may begin to take back part of the quality market. Although Asian rice has a price advantage, there are also an implicit cost and risk. The price spread has to be significant for a trader in Mexico to risk large purchases of Asian rice. Approximately 45 days pass between contracting and delivery, and private sources noted that much can happen in so many days on the ocean. In addition, there is always the risk of rejection of a shipment for phytosanitary reasons, which has happened in the past. Although Asian rice is still likely to make some inroads in the Mexican market, few analysts are predicting a “takeover” of the market in the short term. Private analysts stated that U.S. LGM sellers will need to become more aggressive in the market, look for co-packing or joint venture possibilities, and be more active with customer service as they can no longer rely on a price or quality advantage over the competition. Lastly, U.S exporters have traditionally faced no competition for the paddy market in Mexico, but there is strong interest on the part of millers to begin sourcing from Brazil and Vietnam. To date this interest has not translated into major successes, due to logistical challenges, but it will be important to monitor this effort very closely. One action that may impact the viability of sourcing rice from non-traditional origins is Mexico’s recent establishment of a unilateral tariff rate quota (TRQ) that allows for duty-free imports of rice. On March 1, 2017 Mexico published a notice in the Diario Oficial creating this TRQ, which includes paddy, husked, milled, broken, and “other” rice. Under the TRQ, countries that do not already have a free trade agreement with Mexico will be able to import rice duty-free. The total TRQ amount is 150,000 MT through December 31, 2017, and the quota allocations will be distributed on a first-come, first-served basis. Imports of these products from the United States have duty-free access under NAFTA. However, other countries such as Vietnam face an out-of-quota tariff of nine percent for paddy rice and 20 percent for other forms of rice. For MY 2017/18 the Post/New stock forecast is 222,000 MT, an increase of approximately 27 percent over the previous year, due to slightly higher production and a continuing trend of higher imports. On the back of a 5,000 MT forecasted hike in Mexico’s imports and 9,000 MT on domestic production, the stocks-to-use ratio for MY2017/18 is estimated at 24.5 percent compared to the 19.7 percent recorded the previous marketing year.